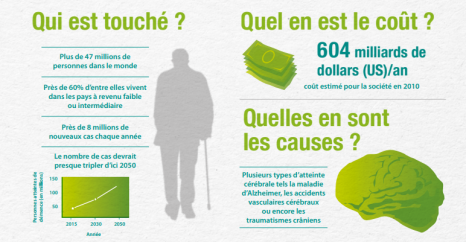 Organized by the France Alzheimer association, the 24th World Alzheimer’s Day will take place this Thursday, September 21. This year, the Alzheimer’s Village information center will be running for the 5th time in Paris (Place de la Bataille-de-Stalingrad), from September 21 to 24, 2017. There are currently 900,000 people affected by Alzheimer’s disease, or by a related condition. It is estimated that by 2020, 1.275 million people will be suffering from the disease. – the familial inherited type (in which the first symptoms appear at the same age from generation to generation, often around the age of 60). – the sporadic type (which represents the majority of cases, and most often occurs around the age of 85). From the age of 85, 1 out of every 4 women and 1 out of every 5 men are affected. From the age of 65, the risk of developing Alzheimer’s disease doubles every 5 years. Despite this, Alzheimer’s disease should not be seen as an inevitable consequence of aging. 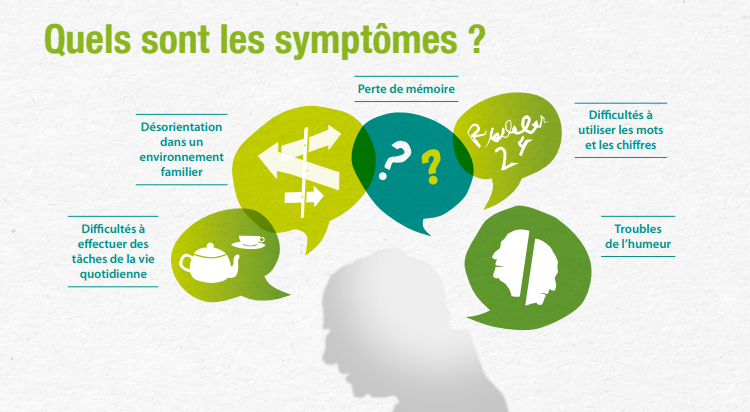 Several Inserm units are currently working on the disease, in search of messages of hope for patients. Their recent work includes studying immunotherapy as a treatment for the disease. In a paper published in the journal Brain, Inserm research director Nathalie Catier explains that immunotherapy, which has been effective in the case of cancer and autoimmune disease therapies, could also have a major impact on neurodegenerative disease. Personalized care has a beneficial effect for patients affected by Alzheimer’s disease. This kind of cognitive and social rehabilitation delays the loss of independence, and reduces behavioral problems in people suffering from Alzheimer’s disease. This was demonstrated in a study by Clément Pimouguet, an Inserm researcher from unit 1219, the “Institute of Public Health, Epidemiology and Development”. Vitamin D may also represent a new avenue in the treatment of Alzheimer’s disease. According to the study by Catherine Féart and Cécilia Samieri, published in Alzheimer’s & Dementia, vitamin D deficiency doubles the risk of developing dementia, and triples the risk of developing Alzheimer’s disease. A word of warning however in regard to popular beliefs concerning Alzheimer’s disease. In a paper published on June 22, 2017, Séverine Sabia explains that physical activity does not protect against the onset of dementia. In fact, while longer life expectancy can be explained by improved quality of life, living longer also strongly increases the probability of developing dementia. While many studies suggested until recently that physical activity could have a neuroprotective effect, research by the Inserm team from the Center for Research in Epidemiology and Public Health (CESP) showed that 2 hours 30 minutes of recommended daily activity did not prevent a decline in cognitive function in some patients, in line with individuals affected by dementia who did no exercise. David Blum, research director of unit 1172 (Jean Pierre Aubert Research Center), studies the impact the environment may have on Alzheimer’s disease, with a close focus on Tau proteins. David Blum and his group are particularly interested in the effects of caffeine. More broadly, the “Alzheimer’s and Tauopathies” team to which he belongs, led by Luc Buée, is studying the physiological role of Tau protein and the impact of its dysfunction on the brain. 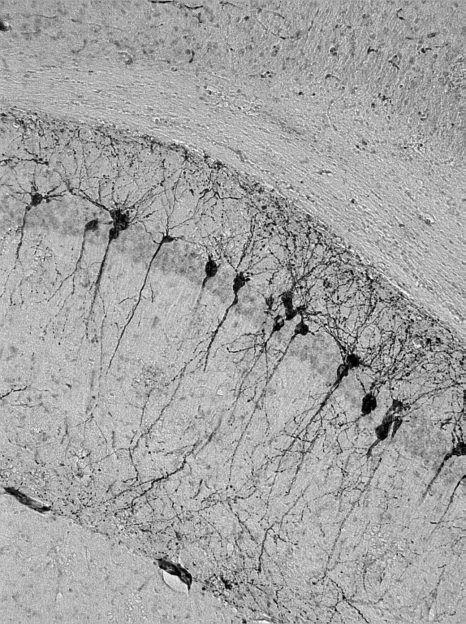 In Alzheimer’s disease, Tau protein behaves abnormally, and build-up of diseased proteins leads to memory problems.